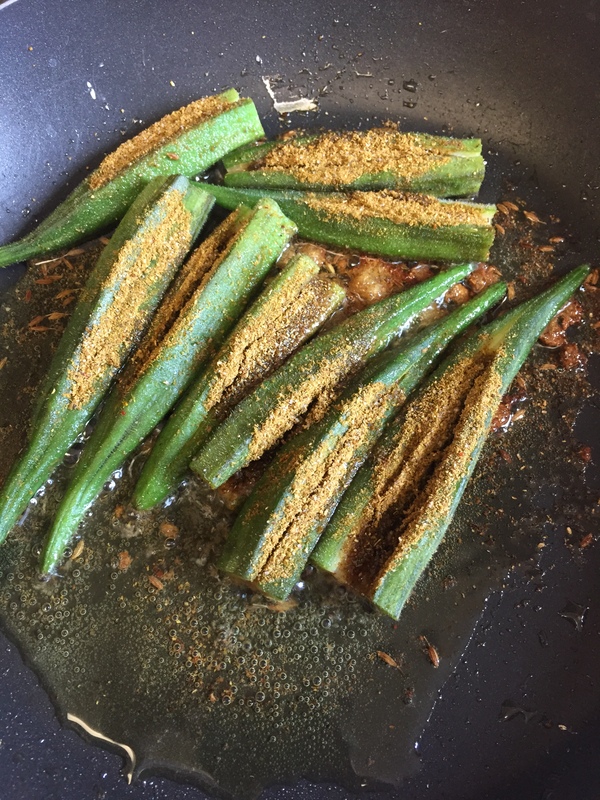 Despite being a vegetarian, the only green vegetable I voluntarily eat is Bhindi, aka Okra. Delicious, spicy and decently quick to prepare, it’s one of my favorite. Let it heat and fry for a while.